We rent out 15-yard, 30-yard, and 40-yard Roll-off Dumpsters. 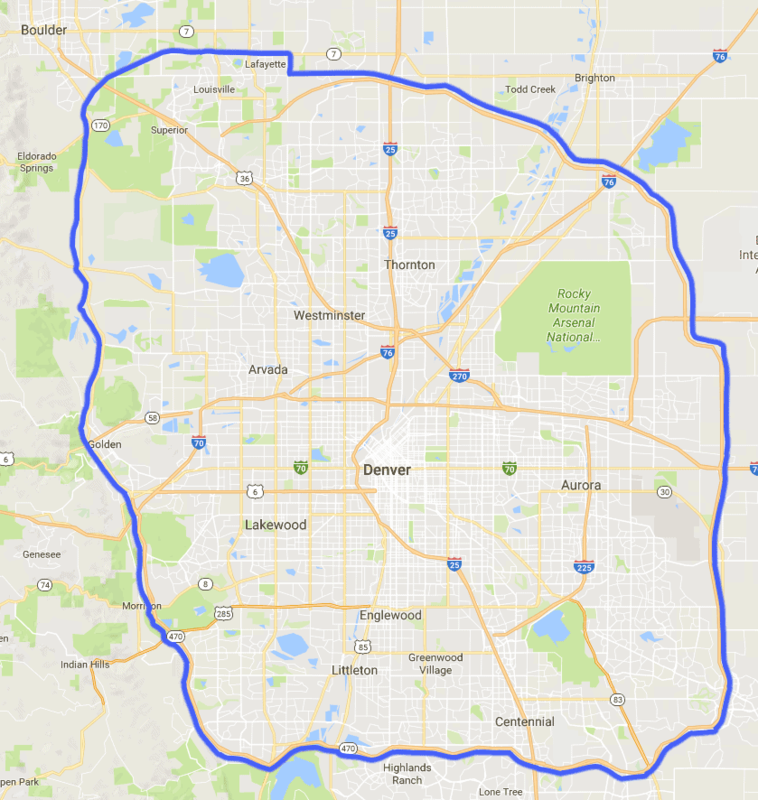 Our flat-rate pricing includes free delivery and free pick-up within our Denver Metro service area. Weight allowance for the dumpster size you choose is also included in the listed prices below (see tips on how to select the proper size dumpster for your needs here). We rent out 15-yard, 30-yard, and 40-yard Roll-off Dumpsters. Our flat-rate pricing includes free delivery and free pick-up within our Denver Metro service area. Weight allowance for the dumpster size you choose is also included in the listed prices below (see tips on how to select the proper size dumpster for your needs here). Flat-rate includes up to 3 TONS! Are you within our service area? Flat-rate includes up to 5 TONS! What do I get when I order from Affordable Roll-Offs? For the convenience of our customers, Affordable Roll-Offs offers a flat rate package for dumpster rentals. Suitable for most projects, the flat rate package covers the stated rental period and includes one free delivery and one free pickup of the chosen dumpster. Disposal of debris up to the specified weight allowance for the dumpster size you choose is also included in the quoted price (see tips on how to select the proper size dumpster for your needs here). Our experienced drivers will deliver the chosen dumpster within 24 hours after an order is placed. Please allow one business day for delivery for orders placed on weekends, holidays, and during other non-business hours. At Affordable Roll-Offs, we believe in 100% price transparency. When you order a dumpster from Affordable Roll-Offs, you’ll never have to worry about hidden delivery charges, fuel surcharges or environmental fees. We guarantee that we will never surprise you with additional charges. Am I in Affordable Roll-Offs' service area? How far in advance do I need to order a dumpster from Affordable Roll-Offs? 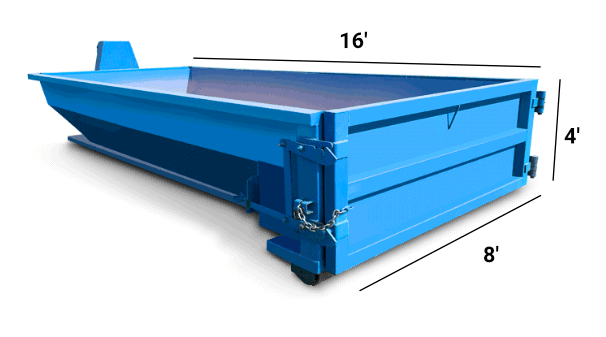 If Affordable Roll-Offs has a dumpster available in the size you request, we will send it out immediately. 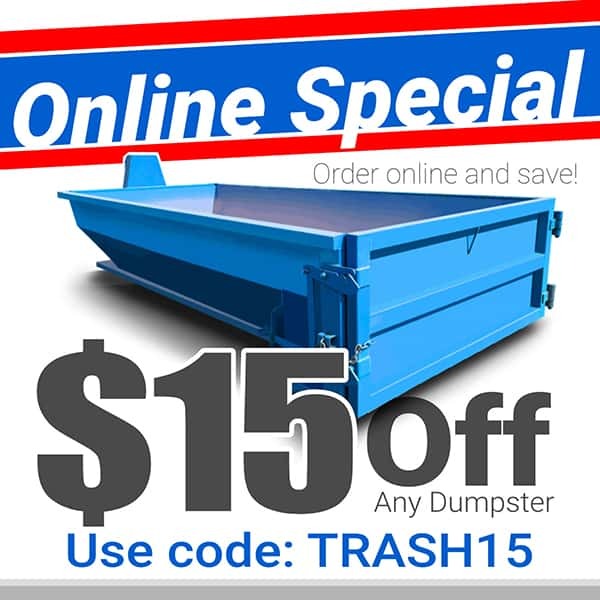 Affordable Roll-Offs guarantees to deliver a dumpster within 24 hours after you place an order (please allow one business day for orders placed on weekends and holidays). 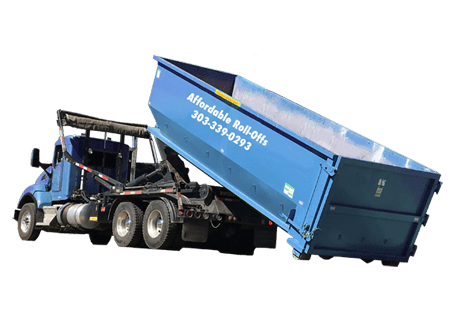 If Affordable Roll-Offs is unable to deliver a dumpster in the size you request within 24 hours after you place your order (or one business day), we will give you a free upgrade. What can’t I put into the dumpster? *Customer remains liable for any inappropriate waste in the dumpster, as agreed to in the terms and conditions. If you need to dispose of any of these materials, please contact us at 303-339-0293 and we will direct you to the appropriate agency. Who can rent a dumpster? For legal reasons, you must be 21 years old to rent a dumpster. At Affordable Roll-Offs, we handle orders both large and small. Our satisfied customers include everyone from DIY homeowners undertaking renovations to business owners who need a dumpster full-time. We’ve assisted charity organizations in their clean-up after an event and real estate agents clearing out homes before a sale. We provide dumpsters for individual construction jobs as well as for general contractors and subcontractors on construction sites that require multiple hauls each day. The size of your project and the space you have available will determine what size dumpster best fits your needs. 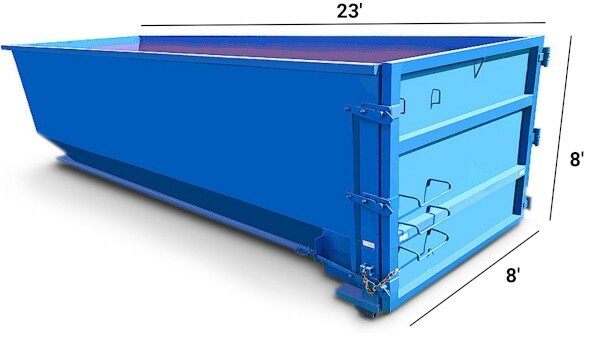 Check out our helpful post on how to select the right size dumpster for your project here. If you are still unsure, give us a call at 303-339-0293 or email us at Sales@affordablerolloffs.com. We’re always happy to help! As safety is our number one priority, we ask that you don’t load any material above the top rails of the dumpster. Please try to keep the load flat and distribute the weight as evenly as possible. 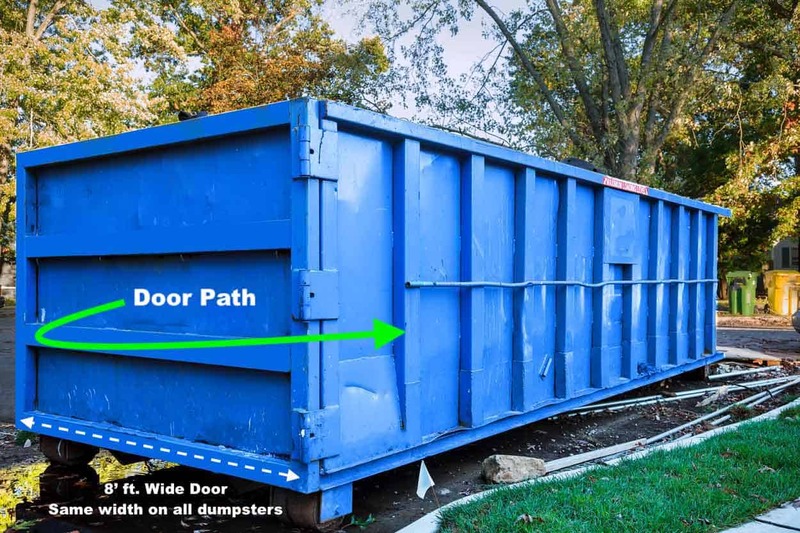 If for any reason the dumpster is improperly loaded and cannot be transported safely, you will have to unload the dumpster to a safe level before we can remove it. A dumpster that is not ready for transport or that has been blocked in may incur additional charges at the customer’s expense. Yes, each dumpster is equipped with an 8’ swinging door for easy loading. The dumpster door may be opened only partially if you prefer. To fully swing the dumpster door open requires approximately 8’ft. of clearance in addition to the dumpster space requirement. Please make sure to allow the appropriate clearance for the dumpster. Also, please keep in mind that dumpsters are not permitted to block sidewalks or streets. If the size of dumpster that meets your needs is too large for the space you have available, please call us at 303-339-0293, or email us at Sales@affordablerolloffs.com, and we will assist in making whatever arrangements we can. Can I put heavy materials in the dumpster (e.g. rock, dirt, brick, sod, or concrete)? 30-Yard Roll-Off – Small amounts of dirt, brick, concrete, sod, and rock typically are acceptable, not to exceed one (1) cubic yard (approximately 9-14 wheelbarrows). If you think you will have more than 1 cubic yard of any of these materials to dispose of, please consider renting a 15-yard dumpster instead (see details below). NOTE: Heavy material must be loaded first and distributed evenly along the bottom of the dumpster. 15-Yard Roll-Off – Dirt, brick, concrete, sod, and rock are acceptable, not to exceed eight (8) cubic yards (that will fill an evenly loaded 15-yard dumpster to about 2.5′ ft above the bottom of the dumpster). In no event may the dumpster exceed the 9-ton maximum for loads. Dumpsters that end up loaded over the weight limit included in our flat rate package will incur additional charges. If you think you will have more than 8 cubic yards or 9 tons of any heavy materials to dispose of, please give us a call at 303-339-0293 or email us at Sales@affordablerolloffs.com to make the appropriate arrangements. What if I need more than one dumpster? If you find that one dumpster isn’t sufficient, just give us a call at 303-339-0293, or email us at Sales@affordablerolloffs.com. Removal of the full dumpster will be covered by your original rate package, but delivery and removal of the second dumpster will constitute a new order. However, you will be able to take advantage of the same great rate for the second dumpster and the same 7-day rental period as you had in your first order. We are also happy to provide a quote if you find that you need a different size dumpster or a longer time period to finish your project. Can I rent a dumpster for more than the rental period? Yes, you can rent a dumpster from Affordable Roll-Offs for more than the included rental period. If you need just a couple more days, an additional $15.00 charge for each day that exceeds the included rental period. 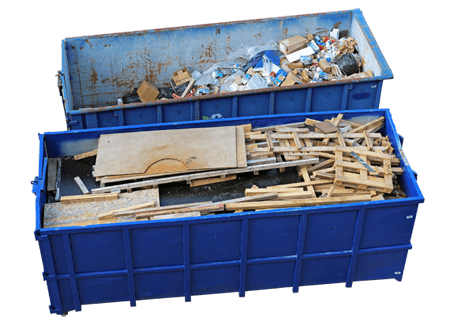 If you think that you will be requiring a dumpster for an extended period of time, please give us a call at 303-339-0293, or email us at Sales@affordablerolloffs.com, for a personalized quote. What if I only need a dumpster for a few days? Our flat-rate pricing includes up-to a week of rental time. However, the price does not change if you keep the dumpster for less time. If you need to schedule an early pick-up directly notify us 24-hours in advance and we will schedule your pick-up for the next available pick-up day at no additional charge. Will a dumpster from Affordable Roll-Offs fit in my driveway? Our 30-yard and 40-yard dumpsters require at least 25’ of driveway space. Our 15-yard dumpster requires at least 18’ of driveway space. Please keep in mind that dumpsters are not permitted to block sidewalks or streets. If the size of dumpster that meets your needs is too large for the space you have available, please call us at 303-339-0293, or email us at Sales@affordablerolloffs.com, and we will assist in making whatever arrangements we can. Will a dumpster fit in an alleyway? In most cases, dumpsters are not suitable for use in alleyways. A dumpster blocking alleyway access is considered a safety violation in most cities, including Denver. However, we may be able to deliver a dumpster to your private property through an alley, if the alley is large enough for our truck to safely maneuver. If you are unsure about your particular circumstances, please give us a call at 303-339-0293, or email us at Sales@affordablerolloffs.com. Can the dumpster go on the street? Each municipality has different regulations and permit requirements concerning dumpsters placed on private property, streets, or any other public right of way. Contact your local municipality and they will provide you with the regulations and costs to purchase any necessary permits. Affordable Roll-Offs is not responsible for obtaining proper permits. Will a dumpster damage my driveway or landscaping? 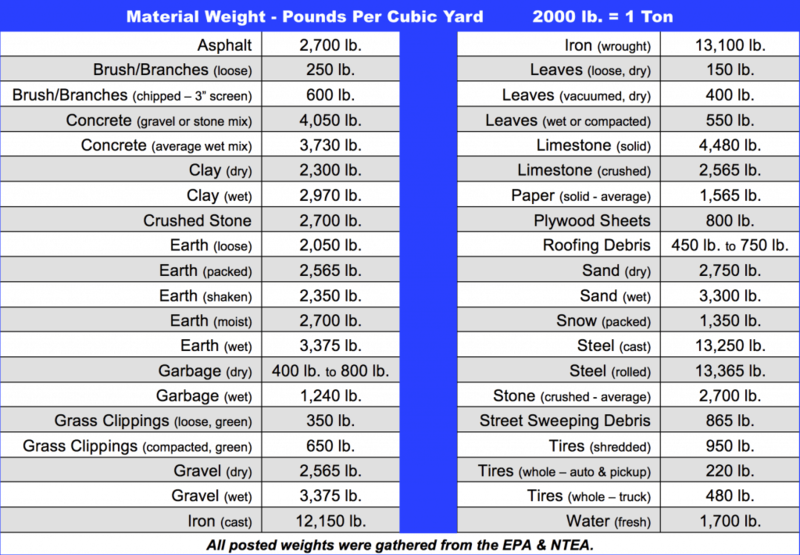 Most driveways that meet building code standards can handle the combined weight of the roll-off dumpster and truck. The experienced drivers at Affordable Roll-Offs take every precaution to avoid damage to driveways and landscaping, however damage may occur due to poor surface conditions or improper clearance. For best results, be sure to leave ample clearance (see “Will the dumpsters from Affordable Roll-Offs fit in my driveway?”, above). Affordable Roll-Offs is not financially liable for the damages caused by normal dumpster operation. What if I need to cancel or reschedule my dumpster rental? We understand that plans can change and delays can occur. If needed, we can easily reschedule or cancel your rental. There are no cancelation fees. The only thing we ask is that you notify us one (1) day in advance of the scheduled delivery by calling (303) 339-0293 or Email Sales@affordablerolloffs.com. If the rental is paid for in advance, a 100% refund will be issued back to the payment method provided. Material Weight/ CU. YD. IN LBS. Uh-Oh! - You're outside of our service area. Unfortunately, we don’t currently service your area. We’re always expanding our service area and locations. Please check back in a few months.